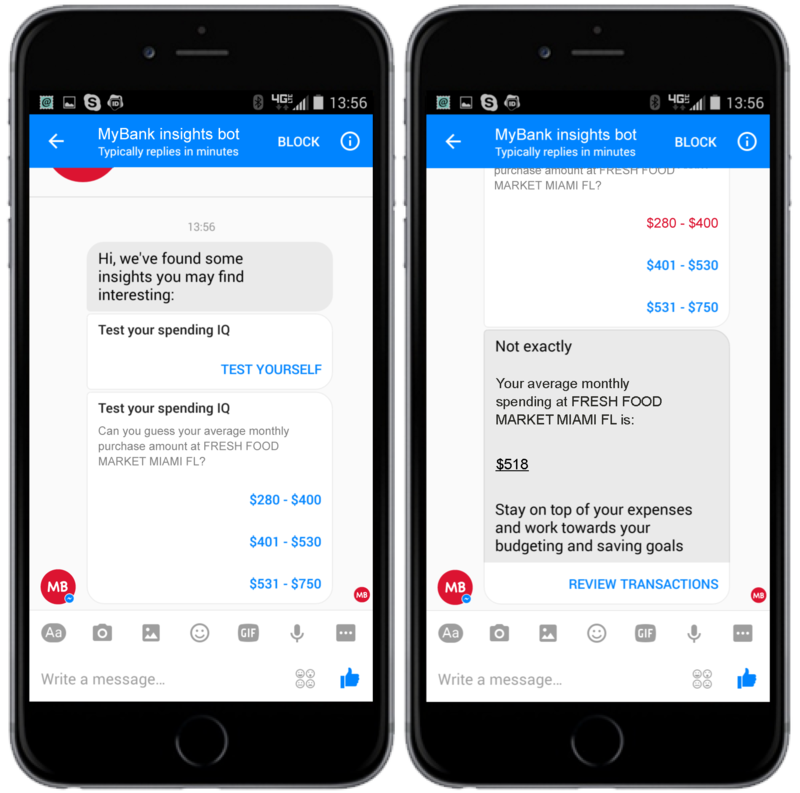 Personetics Anywhere chatbot brings the power of predictive analytics to help customers manage their finances via Facebook Messenger, other messaging platforms. New York, NY, May 10 2016 – Personetics, the leading provider of personalized digital guidance solutions for the financial industry, announced the launch of Personetics Anywhere™ chatbot, providing a new way for financial institutions to offer customers personalized assistance and guidance using messaging platforms such as Facebook Messenger. Personetics solutions are used by leading banks to drive customer engagement through real-time personalization of the digital experience on the bank’s web and mobile channels. With the addition of Personetics Anywhere chatbot, banks will be able to extend this personalized experience to millions of customers that use some of the popular messaging platforms and reach a wide range of customers that do not regularly log in to the bank’s application. Personetics Anywhere provides financial institutions a quick way to turn simple messaging interactions into a rich personalized experience. It allows banks to create uniquely powerful personalized interactions that are timely and relevant, in a conversational medium customers are already familiar with. For example, customers can use Facebook Messenger and other messaging apps to receive instant, accurate, and contextual response to questions related to their bank account, or get immediate assistance executing financial transactions such as sending a payment. Using real-time predictive analytics, Personetics Anywhere enables financial institutions to go beyond simply reacting to customer requests. By anticipating customer needs and delivering personalized and timely insights, banks can help customers be better informed and more confident in their ability to control their financial affairs. For example, a customer that is traveling to a different country may receive advice on how to use the bank’s card in that country while minimizing any associated fees. Personetics Anywhere can also analyze customer spending patterns and provide advance warning if an account may become overdrawn, suggest ways to increase savings, and deliver other insights related to the customer’s most current financial activities. A user can use Messenger to quickly navigate to send a person-to-person payment. The bank can engage the user with personalized interactive quizzes and other highly relevant content. Personetics Anywhere provides financial institutions with a quick path to personalizing the digital user experience, a goal that many of these institutions are already pursuing. Support for Facebook Messenger is available immediately, with additional messaging platforms coming soon. The ability to reach the customers where they are: messaging is the fastest growing online interaction platform with billions of active users worldwide, far exceeding the reach of bank applications. 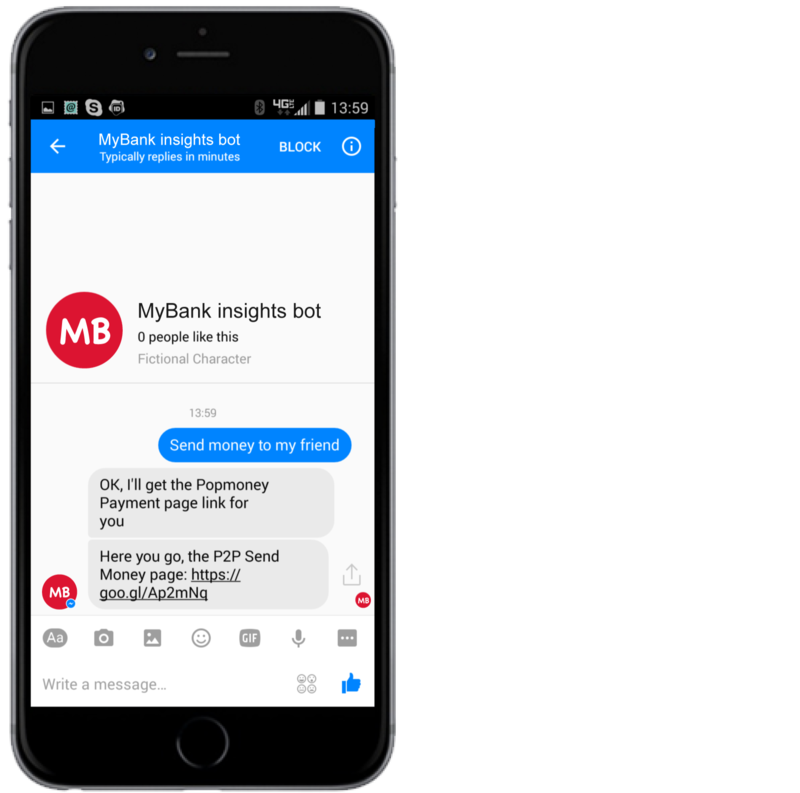 Conversational interactions: users are able to actively converse with the AI-powered bot, creating a personalized and social experience that elevates engagement and emotional connection with the bank. 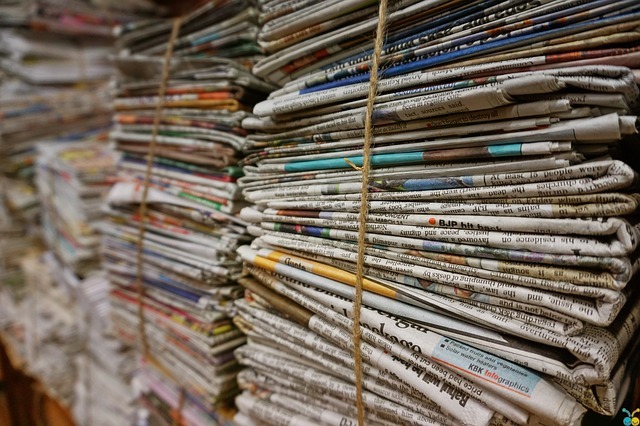 A deployment-ready solution: Personetics Anywhere taps into existing bank content and built-in financial knowledge included in the Personetics platform, allowing the bank to drastically reduce deployment time. Personetics redefines how financial services providers engage with their customers in the digital age. By accurately anticipating individual customer needs, Personetics enables financial institutions to meet increasing customer expectations, providing timely and relevant self-service and guidance at each step along the customer journey. Powered by the Personetics predictive analytics platform, institutions are able to deliver a highly personalized digital experience that elevates customer engagement, affinity, and trust. Founded by a team of seasoned FinTech entrepreneurs with a proven track record, Personetics has offices in New York, London, and Tel Aviv. For more information, visit www.personetics.com.